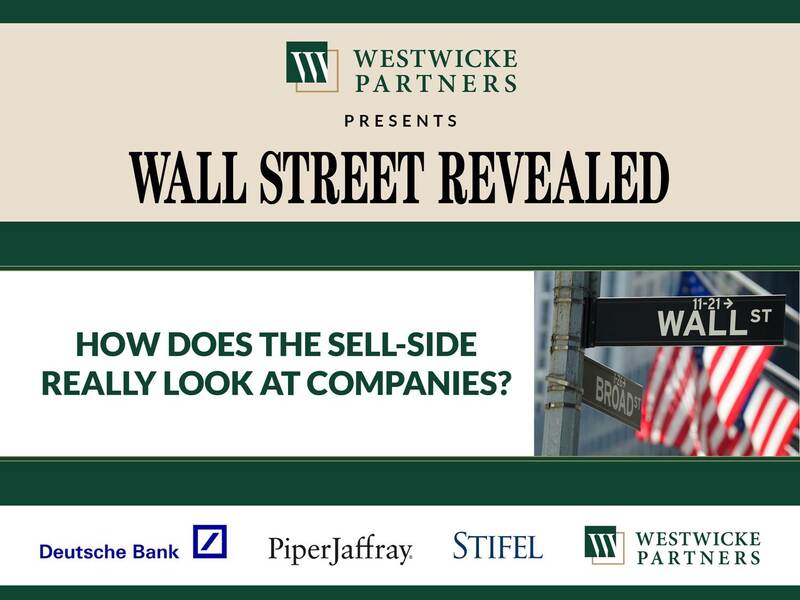 Home > News & Events > Westwicke Events > How Does the Sell Side Really Look at Companies? How Does the Sell Side Really Look at Companies? Whether you are an executive focused on investor relations for a private or a public company, this webinar will help you gain insight into how the sell side thinks about the companies they cover, as well as how they prefer to be communicated with, which is vital in today’s marketplace.